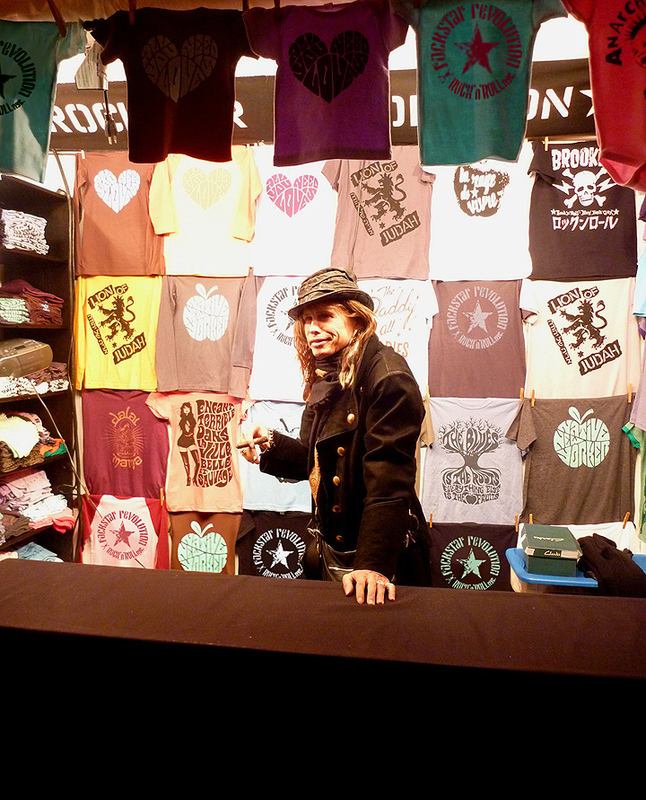 ROCKSTAR REVOLUTION - The Coolest Original Hand Drawn & Hand Screened T-Shirts On The Planet! That's right! Nick Farrow and Michael Ginsberg of Rockstar Revolution braved the Snow and freezing cold temperatures and hit Manchester and Concord, New Hampshire to promote the word of Bernie Sanders. The atmosphere was electric! 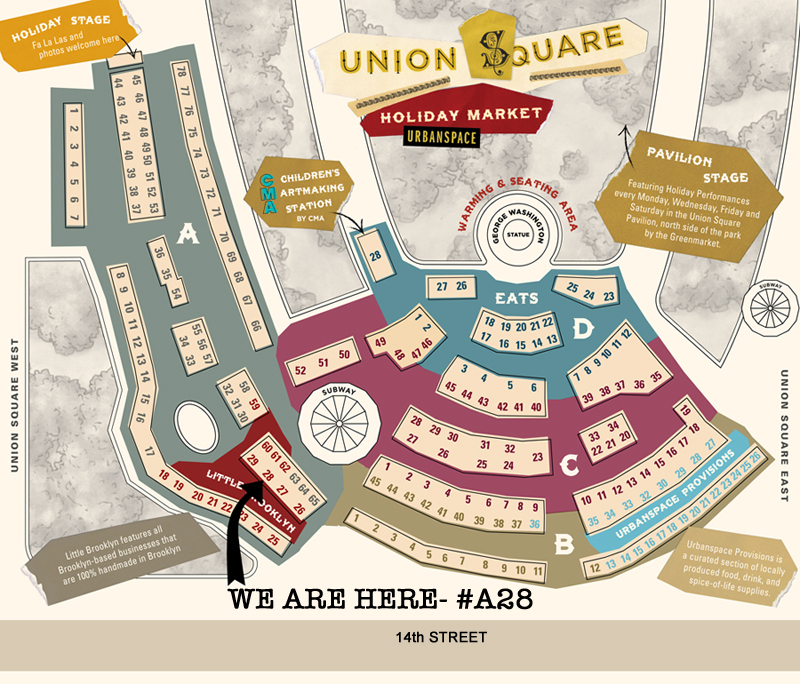 Come and visit us at the Union Square Holiday Market for all of your Holiday Gifts. Please see the map below. See you there! HELLO PEOPLE... THE NEWS SECTION IS BACK! their 'favorite record of the day' or 'what they ate for lunch'! Good on y'all! us there. Check out the SHOWS page for dates and all relevant info. Mention you read this update and receive a whopping 50% OFF your purchase! After a long hot Summer, were back on track with lots of exciting News from ROCKSTAR REVOLUTION. 40% off on NYC related products. The items featured are all found here in our SPECIALS section. What are you waiting for? 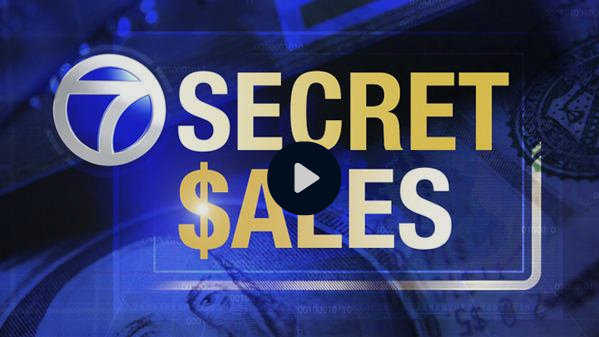 Check out the video and get shopping!! 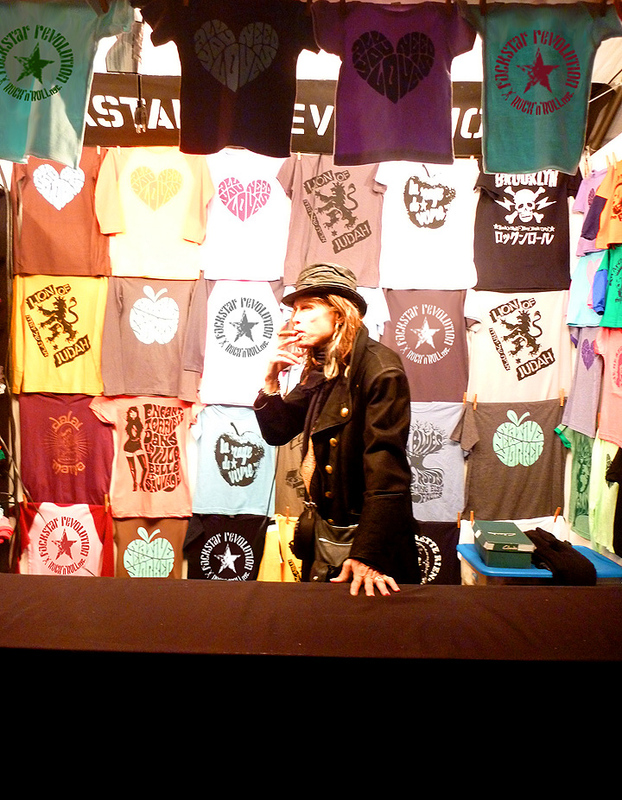 Great to see Rockstar Revolution shirts displayed at the HESTER ST MARKET. Time Out Kids NY featured the best Art & Designer Markets of NYC. Hester St Market offers gourmet food, designer wares and art related products. We're pleased to be included. We've just uploaded 6 new photographs of our fabulous Rockstar Revolution customers wearing their shirts. Thanks for sending them in... and keep on sending them in! The wonderful website for cool Dads, www.dadarocks.com, has just covered Rockstar Revolution in their June 10th 'Fathers Day Gift Idea' feature. 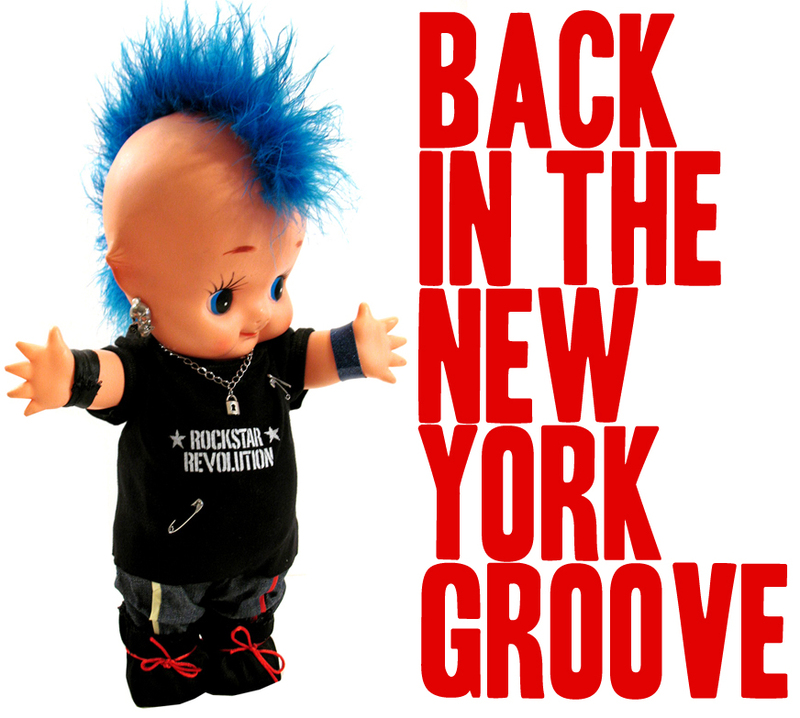 Check out ROCKSTAR REVOLUTION in this weeks TIME OUT NY, May 19th 2011 edition. We're featured in TREND WATCH - GRAPHIC TEES, a page dedicated to NY designed and produced T-shirts. A very cool designed page with some great shirts. Thank you to Rachel LeWinter, style editor at Time Out NY! our best selling NATIVE NEW YORKER and from our astrology line, the ARIES shirt. 'Scroll and click' to see ROCKSTAR REVOLUTION on the TIME OUT website. Thank you Time Out NY. YOUR HELP IS NEEDED NOW! In an effort to provide relief to victims of the Tsunami, ROCKSTAR REVOLUTION have created a brand new design 'STRENGTH', specifically to raise funds for charity. We will donate 40% of all sales to PEACE WINDS AMERICA, an organization who are partners with PEACE WINDS JAPAN. 100% of all donations are used in aid for the Japanese people. For further detailed information and to purchase a shirt please visit our SPECIALS page. so please buy a shirt and HELP US TO HELP OTHERS.... THANKS! We have just uploaded 4 new shots that were sent in recently of customers in their ROCKSTAR REVOLUTION shirts. 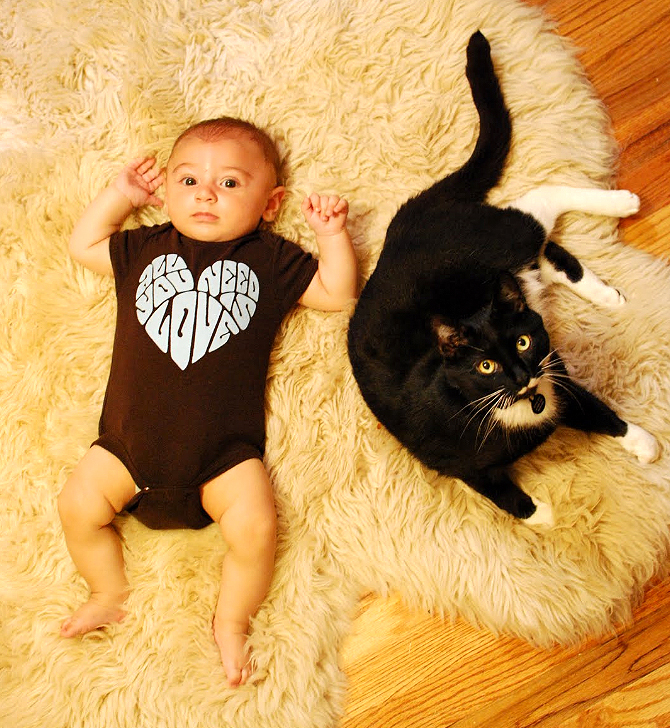 The main shot is of baby Julian and this is our photo of the month! It was taken by the JOE DOLEN studio which is located in Leicester, Mass. Further information about JOE DOLEN and his contact details can be found in the PHOTOS section. Thanks to everyone who sent photographs in and keep sending them! home in on. Especially the 10 - 14 year olds. We think this is GREAT! worrying bit...this design seems to be one of our lowest sellers for adults, especially men! Thanks to you all for the amazing Valentines Day LOVE SALE response... your orders and well wishes! As you may have already noticed, we now have 3 new designs for MEN & WOMEN - 'LUST FOR LIFE', 'LION OF JUDAH' & 'GLOBAL WARMING...AINT COOL'. 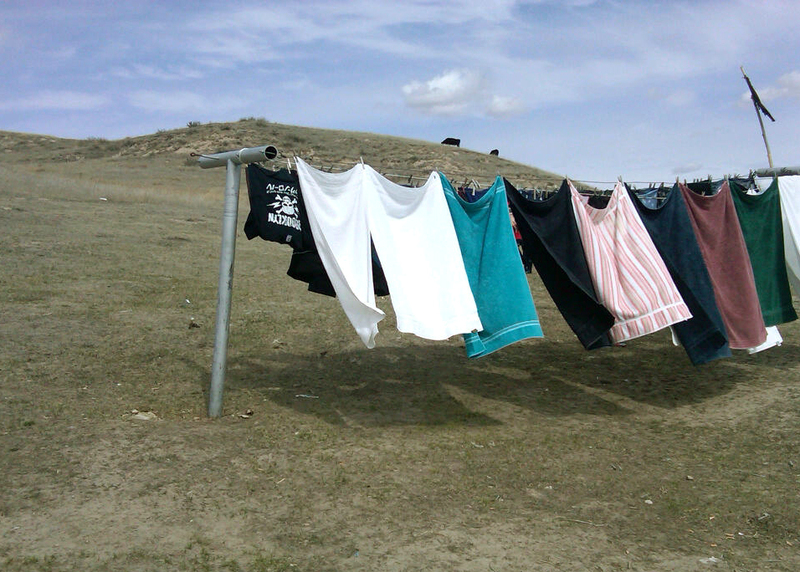 Find them in the MENS & WOMENS sections (Below - check out the great color combinations for the WOMENS shirts - NEW FOR 2011!). 30 years ago today, we lost a truly amazing man - John Lennon. The world was a better place with him here. For all our Mailing List recipients we are offering a one day only BLACK FRIDAY SPECIAL with 15% off for this design. on the lower right of the screen. HAPPY THANKSGIVING! Cooler days are upon us! ...follow us, stalk us etc! IT JUST KEEPS ON SELLING! know too much about US history, Hoover was President at the time of the first GREAT DEPRESSION in the 1930's. Learn more about him here Now buy the shirt! Find it under SPECIALS.